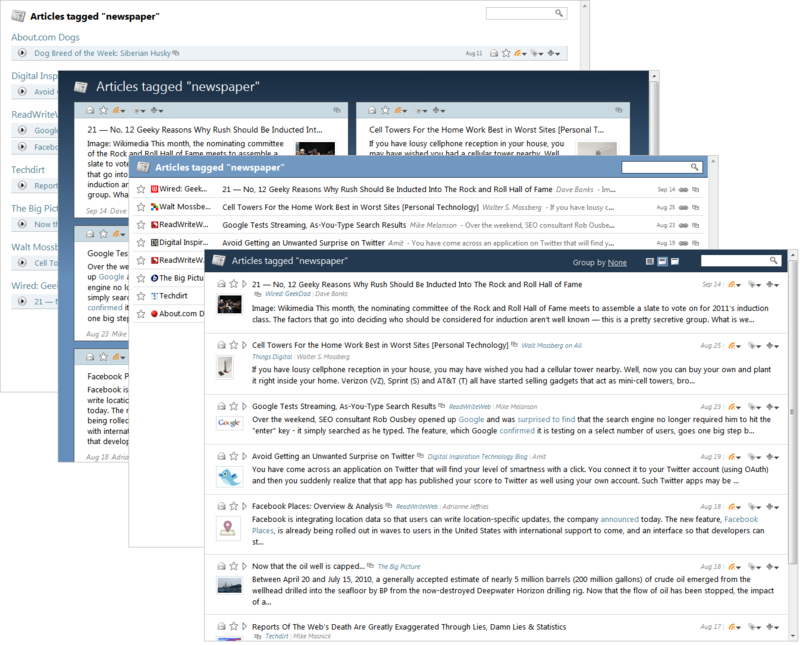 FeedDemon offers several newspaper styles, each of which provides a different way of looking at your articles. You can change the style by clicking the "Styles" button in FeedDemon's status bar. You can also assign different styles to specific feeds. To do this, switch to the "Advanced" page in the feed's properties, then choose the desired style.